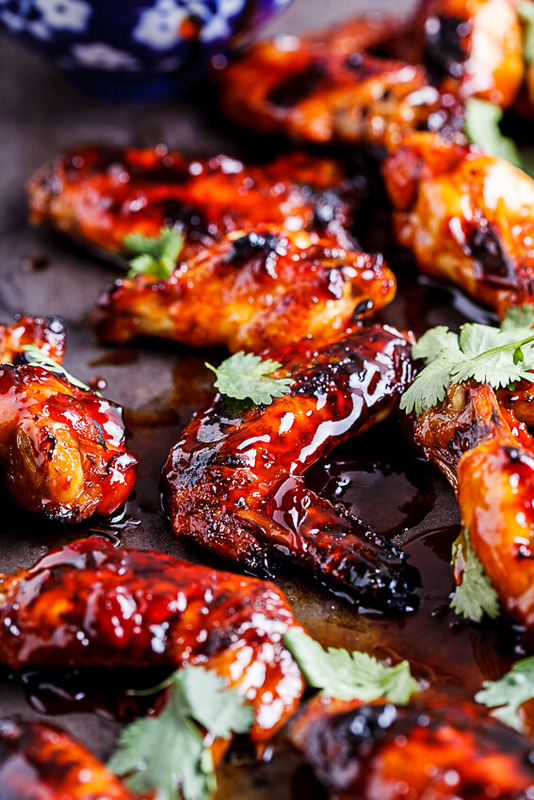 These are the ultimate sticky chicken wings. 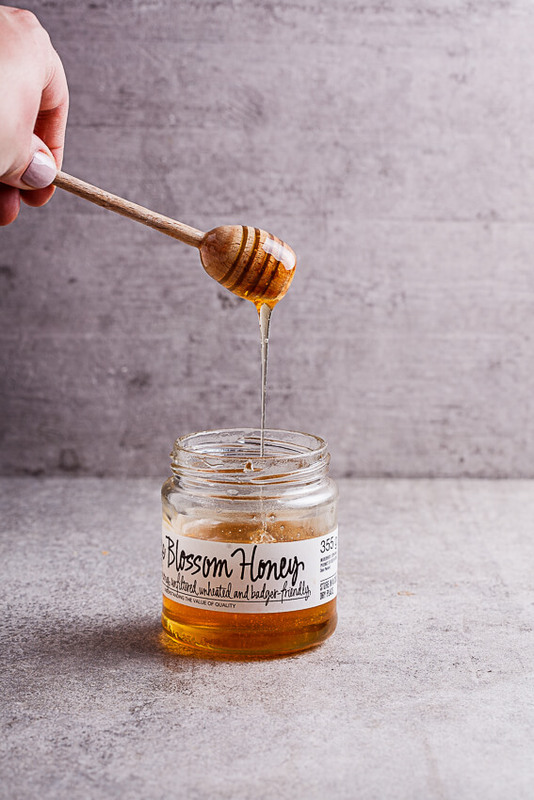 The spicy sriracha and sweet orange blossom honey take the glaze over the top and result in serious finger-licking goodness. Is there anything more glorious than a chicken wing, so sticky it leaves a coating on your fingers, forcing you to lick them off? I think not. And these here wings are the stickiest of all the sticky wings my friends. Just take a moment to appreciate those glossy chicken wings right there. Thing of beauty, isn’t it? So, I’ll be the first to admit that I have a bit of a thing for a chicken wing. There’s something intensely pleasurable about splitting the raw chicken wings (my inner butcher definitely comes out here) and as is the case with all chicken, the versatility is what gets me most excited. Sweet and spicy or crunchy or simply seasoned with salt and pepper and the ultimate, Korean style where you combine all the styles and get pretty much the crack version of the chicken world, I love them all. Into the oven they went with their vibrant red glaze and after a few tosses, turns and a little more basting, out they came looking like this. I mean, seriously now. It took all my will-power not to dive right in but once I did, you guys, I can’t even explain to you how freaking delicious these were. If I had a bucket-full in front of me, I would’ve scoffed the whole lot. No jokes. 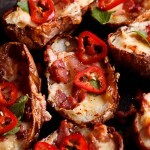 Serve these with copious amounts of chilled beer and many, many napkins. Trust me. 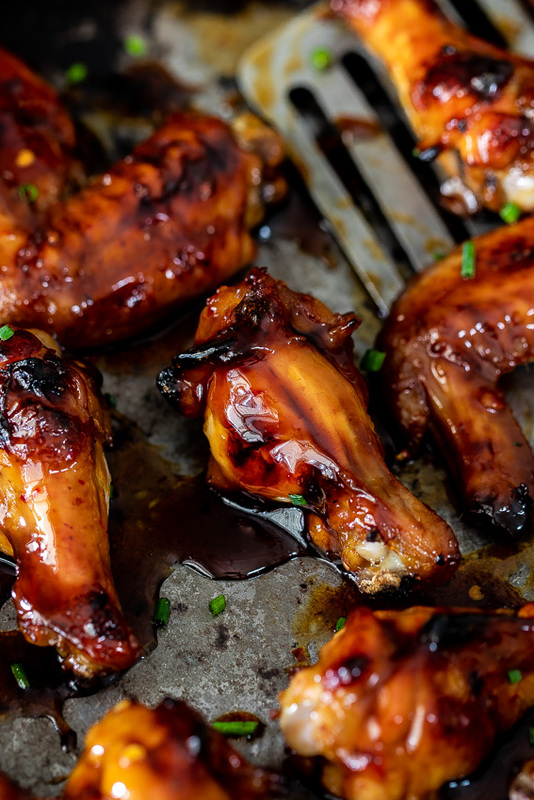 These are the ultimate sticky, sticky chicken wings recipe. 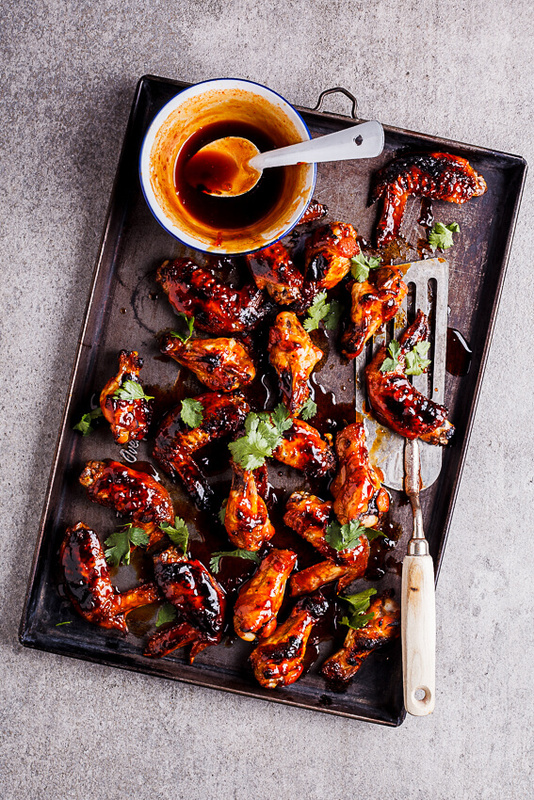 The spicy sriracha and sweet orange blossom honey take the marinade over the top. Combine all the glaze ingredients in a bowl and mix well. Add the chicken wings and allow to marinate for 10 minutes. 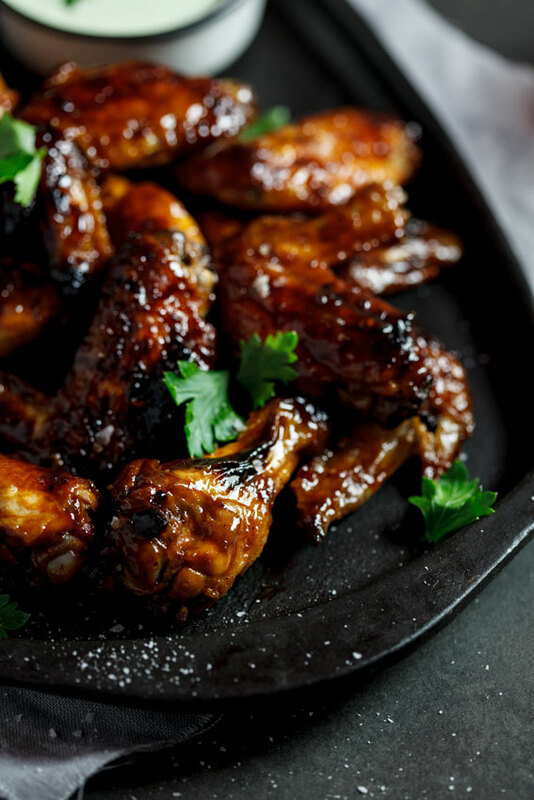 Place the marinated chicken wings on a greased baking tray in a single layer and spoon a little of the glaze over each wing. Place in the oven and allow to bake for 20-25 minutes. In the meanwhile, place the remaining glaze in a microwaveable bowl and microwave for 2-3 minutes until the glaze is hot and thickened slightly. Half way through baking, turn the wings and baste them with the remaining glaze. When the wings are cooked through and sticky, remove from the oven and allow to cool for 5 minutes before serving. I have got to make these for my son Casey the next time he’s home Alida! I know he’d just love them! Hi Alida, love that these are baked, they are perfect for game day. These just look OUTSTANDING. Sticky deliciousness all on a wing! Thanks Alida! Oh man! I can totally see myself eating all the wings and not sharing a single piece. These look too good. These looks so deliciously sticky! My boys will love them. Never would have thought to use orange blossom honey. What a great idea! I love using different types of honey in food. And the flavour of orange blossom honey is just so delicious, it makes anything you put it in tastier. OMG Alida! These look insanely delicious! My son Casey comes home for fall break next week and he LOVES wings! I can’t wait to make these for him! Made these tonight and they were awesome! Added some Presidents choice ginger marmalade in exchange for the specialty chili ginger jam and it was a perfect substitute. I also turned and basted them a few times with extra sauce I made, these are my new fave, thanks for the share! Ah, I’m so pleased you love them so much. It’s such a crowd-pleasing recipe. Love your idea of using ginger marmalade. Perfect substitute. Hi. I made this yesterday and my husband liked it. We would only recommend some garlic in the recipe and it would be great. I really loved how easy this was and I had fun making it. Thanks so much for posting! I love the idea of adding garlic. Thanks so much for your comment. These look really good. I have some similar recipes on my website but they are a lot more spicy. I must give these a try! Thanks Wade! Let me know what you think when you’ve tried it! 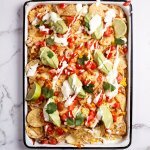 These look absolutely amazing–I’m going to the store right now, and I’m going to make these for dinner! Thanks Hannah, they really are! Let me know what you think of them! Döh not everyone has access to chili and ginger jams. True, which is why I stated you can easily leave it out and it won’t have a massive effect on the end result. The key ingredient here is the Sriracha. 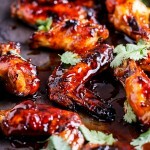 Where does one find Melissa’s Chili Ginger jam mentioned in the Stick Sriracha wing recipe? Pamela, you can find it at the link at the bottom of the post or alternatively at one of their shops. I think they only ship in South Africa at the moment but many other stores will have something similar if you’re not based here. Oh yes, sticky chicken wings, I looove them. I know it’s weird, but I always lick them first. These look amazing, I never had them with such flavour combinations, the ginger jam sounds delicious. Hahaha. I don’t think that’s weird at all! 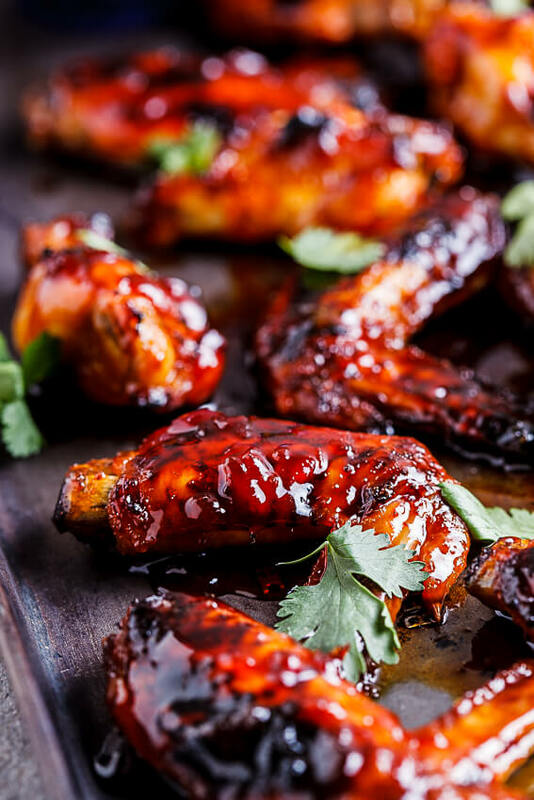 The ginger jam makes for an awesome addition but I can guarantee you that even without it, these wings are a winner.